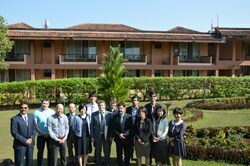 Participants to the fifth Intellectual Property Contact Persons meeting met in the Indian state of Goa from 12 to 13 December 2013. For the contact persons charged with intellectual property matters, the key is communication. Contact persons from the ITER Organization and the seven Domestic Agencies make it a point to gather together every year to discuss the progress on intellectual property-related activities and promote the sharing of intellectual property among all Members pursuant to Annex 1 of the ITER Agreement. 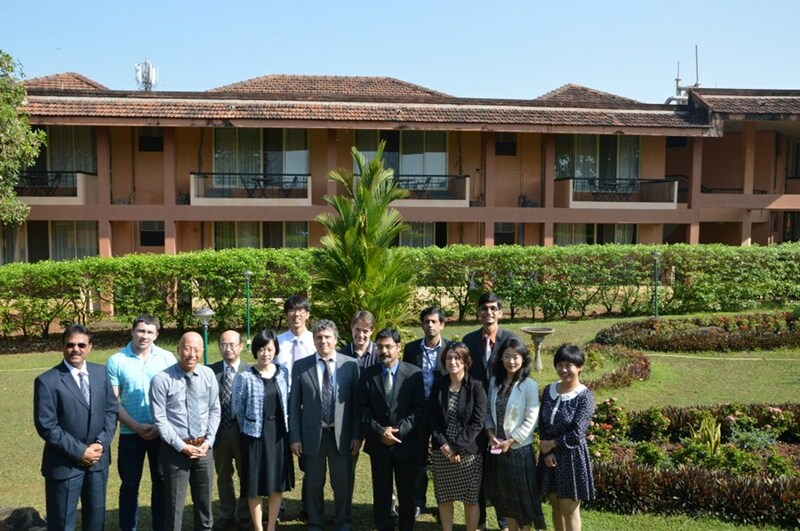 The fifth meeting of the Intellectual Property Contact Persons (IPCP-05) was hosted by the Indian Domestic Agency at the International Centre in Dona Paula, situated in the famous tourist destination of Goa, from 12 to 13 December 2013. Six Domestic Agencies—China, Europe, India, Japan, Korea and Russia—were present to give their status updates on intellectual property. One of the important discussion points was the ownership of, and access to, two types of intellectual property generated by the ITER Project: background intellectual property (intellectual property developed prior to contractual arrangements and that may be used in the course of Project implementation) and generated intellectual property ("created" during the course of contract execution). IPCP-05 participants recognized the work and impressive progress made in the ITER Organization and at the Domestic Agencies on intellectual property activities. Awareness of issues has been significantly improved through intellectual property training sessions conducted in-house at ITER and by the Domestic Agencies for their staff. All agreed that intellectual property sharing is the key to the success of ITER Project and the contact persons group shall continue to work collaboratively toward this goal.